A shortage of doctors is going to make it hard for millions of newly insured through health care reform to get health care. 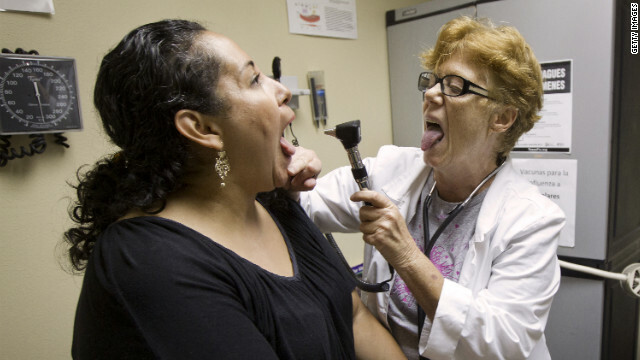 Could doctor shortage cripple healthcare reform? (CNN) – A study released this week in the medical journal JAMA, shows that less than a quarter of medical students plan to practice family medicine. That could result in a severe impact to the front lines of health care. Dr. Atul Grover with the Association of American Medical Colleges says the 10-year trend in fewer family doctors is really going to be felt when healthcare reform is fully implemented. Over the past decade, the number of med students who get into family medicine has dropped 50 percent says Dr. Patrick Dowling, Chairman of the Department of Family Medicine at UCLA. When the Affordable Care Act is fully implemented in 2014, getting into see a doctor may look more like the lines at the Department of Motor Vehicles.